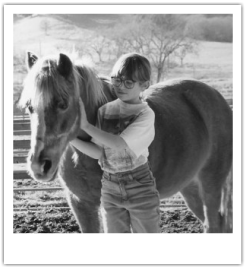 Kristen Orton (nee Enedy) was born loving all things horses. Her parents took her to a local park for a pony ride and she was hooked. Kristen began riding at age 7 at a local hunter jumper barn and she and her pony Bumblebee had success competing at the local and national shows. After watching the 1993 North American Young Rider Eventing Championships, she knew that Eventing was her calling and began riding with French certified instructor, Valerie Bertoli of Valoche Stables. Kristen spent many years working and riding under the tutelage of Valerie, learning every aspect of horsemanship from the care and maintenance of the horses to starting and training horses of all types for both pleasure and the upper levels of sport. She has extensive experience starting youngsters of all breeds and has restarted more off track Thoroughbreds than she can count. 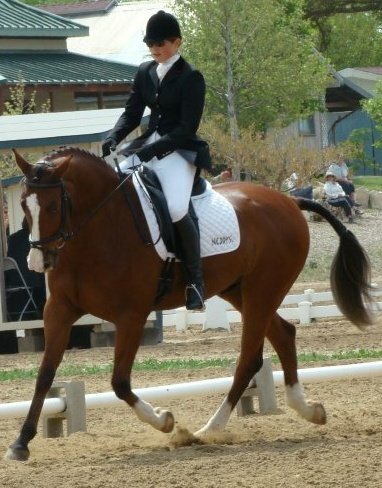 Kristen has ridden and produced horses through the Advanced level of Eventing, 4th level dressage, and 1.30m jumpers. Kristen has also had the opportunity to clinic with some of the best riders and trainers in the business, such as: 1996 French Olympian Jacques Dulcy, Ian Stark, Leslie Law, Jimmy Wofford, Darren Chiacchia, Eicke von Veltheim as well as local trainers Yves Sauvignon and Andrea Pfeiffer, BHSII. 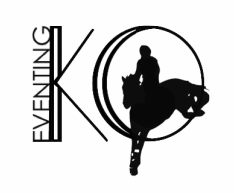 Upper level rider and trainer, Kristen Orton of KO Eventing, is excited to offer her riding, training, and teaching services in the Baltimore area! Recently relocated from Northern California where she successfully ran a thriving training and teaching business that included everyone from upper level competitors to pleasure riders of all ages! Kristen has extensive experience and expertise in starting and producing young horses as well as identifying and resolving existing behavioral problems through her individualized training programs. She has been competing and training for 20+ years, teaching for 15 years, and her programs are designed to produce well-rounded and knowledgable horsemen and horsewomen with skills that don’t just go from the saddle, but extend into all aspects of horse care and horsemanship. Kristen looks forward to helping riders achieve their goals with their horses, no matter how large or small! She is insured and available to travel within the Carroll, Baltimore, and Harford counties. 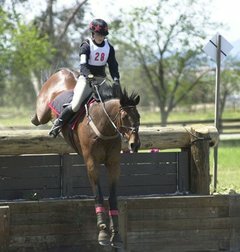 ​Please message Kristen to set up a lesson or training ride! She is also available for clinics and cross-country schoolings, please inquire for availability and pricing.